Nothing freshens up a tired looking kitchen, bedroom, office or restroom like ceiling painting. 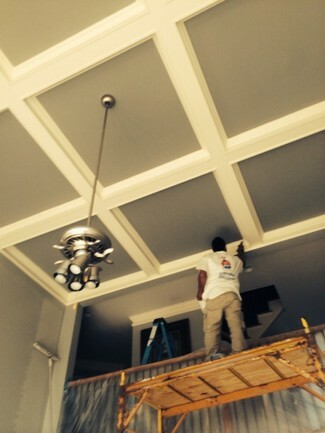 Zelaya Jr Painting has been a leading provider of Ceiling Painting services for many years. Our expert ceiling painters can make your home or office ceilings look new again, and at a fair price. Zelaya Jr Painting 's professional painters complete each job with pride and purpose. They prepare the ceiling by removing old flaking paint, washing dirty areas, filling in cracks and dents, and sanding any rough areas. Next, Zelaya Jr Painting painters apply one, two, or three layers of primer and paint as needed to create a long-lasting, high-quality ceiling finish.